The right pair of footwear can add that extra bit of glamour to your summer outfit. 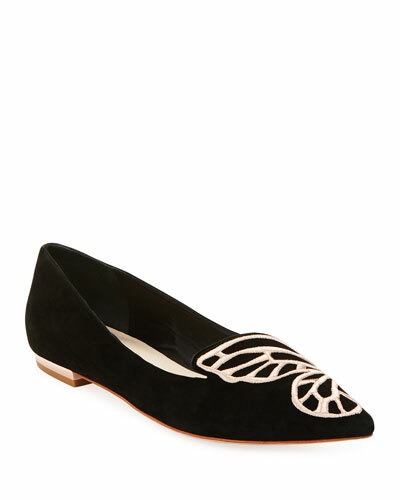 At Neiman Marcus we offer you a vast choice of women’s loafers and flats in an array of colors, sizes, and styles. Our collection of designer flats and loafers for women comes in many designs and fabrics, making them a great addition to any wardrobe. From casual events to formal gatherings, our loafers and flats are designed for every occasion. You can pick penny loafers in a variety of patterns or opt for classy ballet flats from our versatile collection. Check out our wide selction of women’s flats, mules, loafers and more in the latest styles. 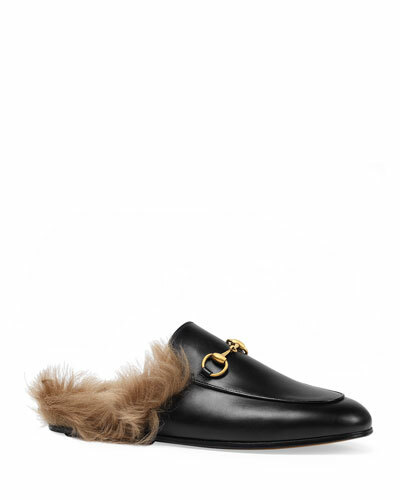 Shop Neiman Marcus for loafers from the world’s leading designers and footwear brands. 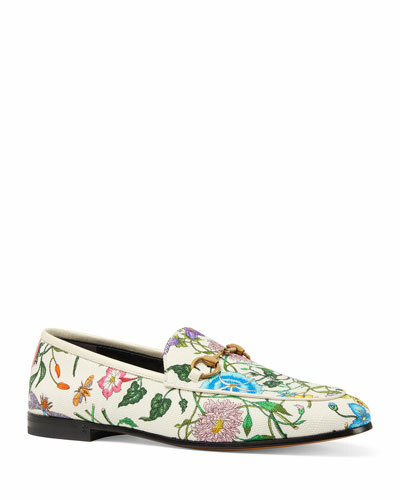 Bougeotte loafers in watercolor painted ring lizard skin. 0.5" flat stacked heel. Iridescent bee ornament at heel counter. Round apron toe. Keeper strap at notched vamp. Slip-on style. Leather lining and sole. Made in Italy. Chloe metallic calf leather loafer with golden "C" initial. 0.2" stacked flat heel. Round toe. Notched vamp. Slip-on style. Backstay folds down for mule affect. Leather lining and sole. Made in Italy. Cole Haan soft suede loafers with bow and hardware detail. 0.5" flat heel. Cushioned with GRAND/OS?? technology for ultimate comfort. Cole Haan soft suede loafers with bow and hardware detail. 0.5" flat heel. Cushioned with GRAND/OS?? technology for ultimate comfort. Round toe. Slip-on style. Padded footbed. Manmade lining. Lightweight polyurethane midsole and rubber outsole. "Tali" is imported. Cole Haan "Tali" ballerina flats in ocelot-print dyed calf hair (China), updated with logo-plaque bow detail. Grand.OS?? technology for lightweight comfort, flexibility, and responsive cushioning. Elastic collar for scrunched fit. Round toe. Quilted footbed. Genevieve weave rubber outsole. Leather lining. Slip-on style. Imported.